"Matt Venuti's music with a magical instrument called the "hang" is incredible and really teleports people into another dimension. Using it with Shamanic Breathwork™ is amazing! It's a whole new energy. People are blown away by what they feel when they breathe and listen to his music. The Hang is about JOY and LIGHT and ENERGY. The Hang helps raise the vibrational field and we are able to release the past without so much struggle. It's about letting go of the darkness and learning how to open to and receive the teachings from the future. 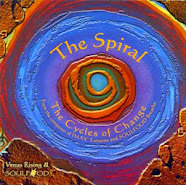 We have been learning about the past ad nauseam and we will continue to do that as needed on the great spiral wheel of transformation .... and NOW.... we must now turn our faces to the LIGHT and to FREEDOM as the great wheel turns and we begin to open and learn from the future!" 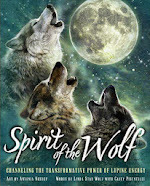 Saturday, February 13, 1 - 5 pm, Open Secret Bookstore: Star Wolf and Matt will offer a four hour Shamanic Breathwork™ workshop with more LIVE music for journeying! The cost for this workshop is only $30, a huge discount from Star Wolf's usual rates. She wants to make this transformative work available to as many people as possible! Open Secret Bookstore, 923 C Street San Rafael, California 94901. Please call Open Secret to register: 415- 457- 4191. "Breathe with your Beloved on Valentine's Day" with Star Wolf and her partner, Brad Collins, for a full day of deepening into your own inner beloved and opening to your outer one. For singles and couples. Bring your journal, a water bottle, a light lunch, and a snack to ground at the end. Stress Management Center of Marin, 1165 Magnolia Ave, Larkspur, CA 94939. Call the Venus Rising office to reserve your spot: 828-631-2305. Workshop hours: 11:30 am - 6:30 pm. Cost: $40. 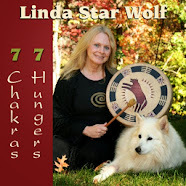 Linda Star Wolf is the Founder of Venus Rising Institute for Shamanic Healing Arts and the Shamanic Breathwork™ Process and the author/co-author of four other books. Shamanic Breathwork is a safe, yet powerful tool using the breath and evocative, trance music to induce altered states, connect deeply to our inner Divine Source, clear out energetic blocks, and get clarity about our sacred purpose and next right actions in the world. 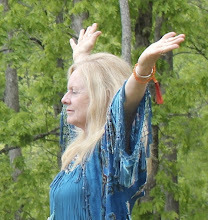 To learn more please visit: www.shamanicbreathwork.org. Check out Matt Venuti's website to learn more about the Hang and see YouTube videos of him playing: www.venusians.com.